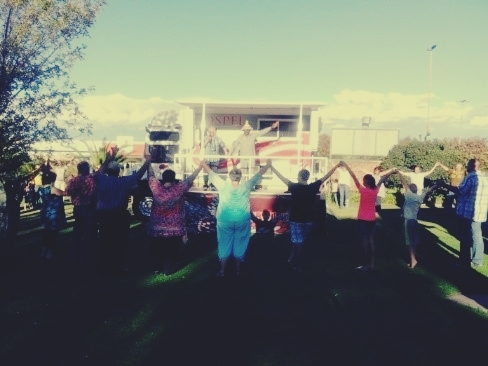 On the 9th of April 2016 we had a prayer outreach in the town of Middleburg whereby different churches came together to pray. It was a mixed race group of 35 people and leaders of the community. Our emphasis was on uniting the church and the city. 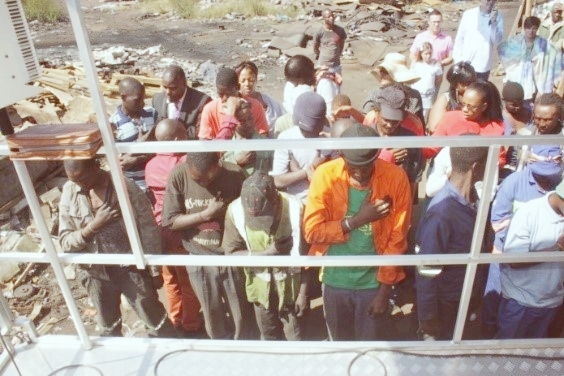 On the 17th of April we went to a place called dumping site where the municipality throws away the city’s garbage. Surprisingly there are families with new born babies that stay there and recycling the waste as a way of making a living. There is a great need for revival, food parcels and clothes. We had a wonderful time, we prayed for them and some gave their lives to Christ. We supplied them with food and clothes. We had a great time. Lastly we held an outreach for the unemployed people in Middleburg on the 13th of April. 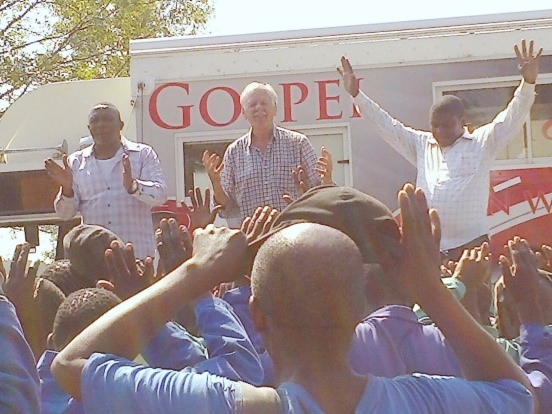 Through the Unimog we ministered the Word and gave them tracks and food.